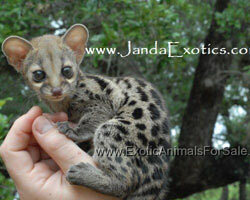 Genets, native to Africa, are long, slender, cat-like animals with large ears, ringed tails and partially retractable claws. 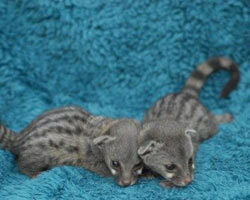 Their fur is spotted with a dark stripe down their spine. There are the only member of the viverrid family that are able to stand on their hind legs. Although they live on the ground, they spend a great deal of time in trees. 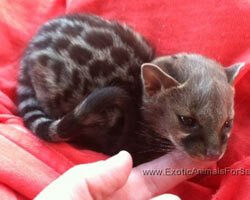 Genets have been introduced into parts of Europe where they can still be found in the wild. They have been kept as pets for more than 1,500 years.